Find your dream Chrysler car today at Carsnip. We’ve got over 344 used Chrysler vehicles available, and our intuitive search system means that you can make the best decision in the easiest way. We’ve made buying your next car easy. Browse over 344 vehicles below. 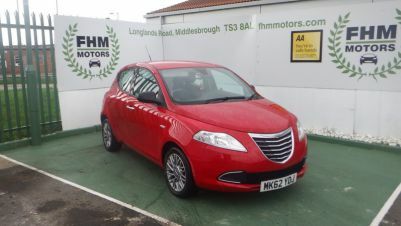 Chrysler Delta 1.6 TD Multijet SR 5dr6 MONTHS GOLD WARRANTY. Best known for their plush sedans and minivans, Chrysler have been producing cars since the 1920s, with the most noticeable vehicles on British roads probably the 300c and the Grand Voyager. The 300C is an executive saloon which rivals the German vehicles in the category – but with a distinctly American look to it. Built in Europe, the 300C consequently has a better reliability record than older models. Chrysler is also known for its large and comfortable people carriers. The Grand Voyager delivers in this respect, and innovative features such as its Stow and Go seating – which allows all seats to be flattened into the floor – add to its size and practicality.